On March 6, 2009, NASA's Kepler Space Telescope rocketed into the night skies to find planets around other stars within a field of view 1/400th the size of the Milky Way in search of potentially habitable worlds. Since then, Kepler has unveiled a whole new side of our galaxy — one that is teeming with planets. Because of Kepler we now know that most stars have planets, Earth-sized planets are common, and planets quite unlike those in our solar system exist. Kepler's revived, second-chance K2 mission after a malfunction put an end to its original mission two years ago, has now discovered more than 100 confirmed alien planets researchers announced Tuesday (Jan. 5) at the 227th Meeting of the American Astronomical Society (AAS). To date, the Kepler has discovered 4,696 candidates; 1,032 confirmed planets; and 12 small rocky planets confirmed within the habitable zone. The first planet smaller than Earth, Kepler-20e, was discovered in December 2011 orbiting a Sun-like star slightly cooler and smaller than our sun every six days. But it is scorching hot and unable to maintain an atmosphere or a liquid water ocean. Kepler-22b was announced in the same month, as the first planet in the habitable zone of a sun-like star, but is more than twice the size of Earth and therefore unlikely to have a solid surface. Kepler-186f was discovered in April 2014 and is the first Earth-size planet found in the habitable zone of a small, cool M dwarf about half the size and mass of our sun. 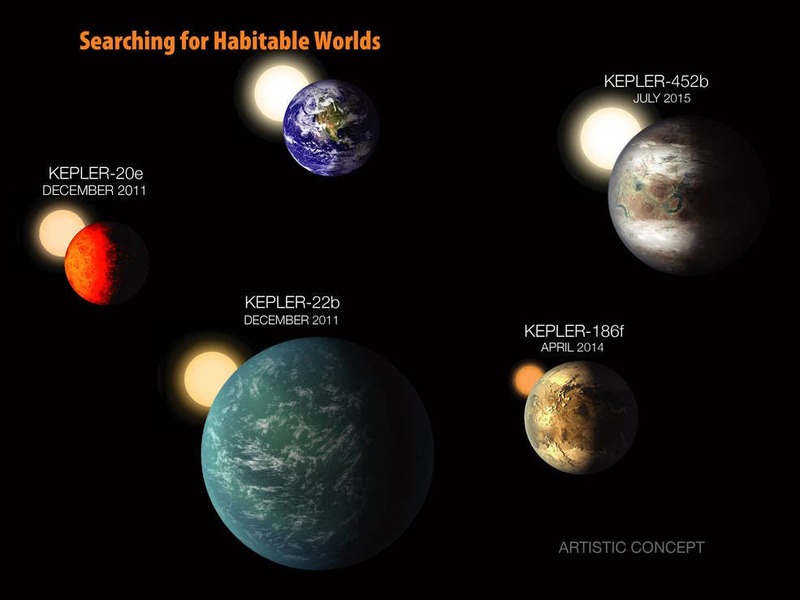 Kepler-452b is the first near-Earth-Size planet in the habitable zone of a star very similar to the sun. (NASA Ames/W. Stenzel). 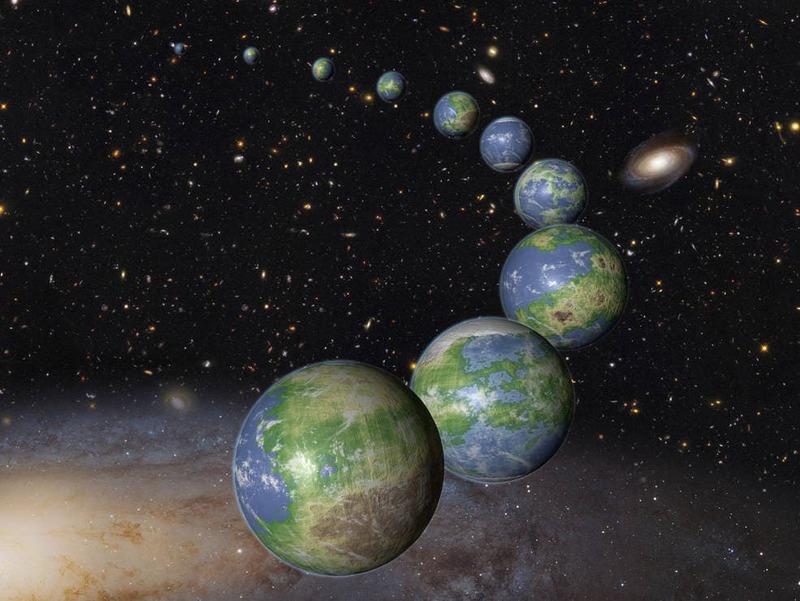 Recent research based on an assessment of data collected by NASA's Hubble Space Telescope and the prolific Kepler space observatory, suggests that Earth came early to the party in the evolving universe. 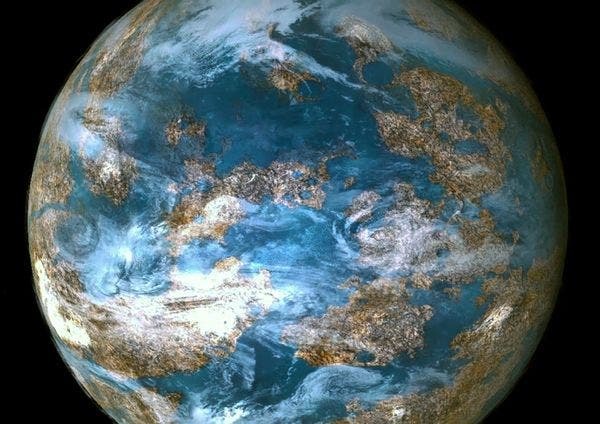 According to a new theoretical study, when our solar system was born 4.6 billion years ago only eight percent of the potentially habitable planets that will ever form in the universe existed. And, the party won't be over when the sun burns out in another 6 billion years. The bulk of those planets – 92 percent – have yet to be born. "Our main motivation was understanding the Earth's place in the context of the rest of the universe," said study author Peter Behroozi of the Space Telescope Science Institute (STScI) in Baltimore, Maryland, "Compared to all the planets that will ever form in the universe, the Earth is actually quite early." Looking far away and far back in time, Hubble has given astronomers a "family album" of galaxy observations that chronicle the universe's star formation history as galaxies grew. The data show that the universe was making stars at a fast rate 10 billion years ago, but the fraction of the universe's hydrogen and helium gas that was involved was very low. Today, star birth is happening at a much slower rate than long ago, but there is so much leftover gas available that the universe will keep cooking up stars and planets for a very long time to come. "There is enough remaining material [after the big bang] to produce even more planets in the future, in the Milky Way and beyond," added co-investigator Molly Peeples of STScI. Kepler's planet survey indicates that Earth-sized planets in a star's habitable zone, the perfect distance that could allow water to pool on the surface, are ubiquitous in our galaxy. Based on the survey, scientists predict that there should be 1 billion Earth-sized worlds in the Milky Way galaxy at present, a good portion of them presumed to be rocky. That estimate skyrockets when you include the other 100 billion galaxies in the observable universe. This leaves plenty of opportunity for untold more Earth-sized planets in the habitable zone to arise in the future. The last star isn't expected to burn out until 100 trillion years from now. That's plenty of time for literally anything to happen on the planet landscape. Look, if NASA says this is a space lightsaber, then who are we to disagree? Why Are Some Galaxies Clumpy?